Something changed and I have to roll with it. As someone who loves sports, it is difficult to pull back for the sake of the relationship, but that is what needs to be done. 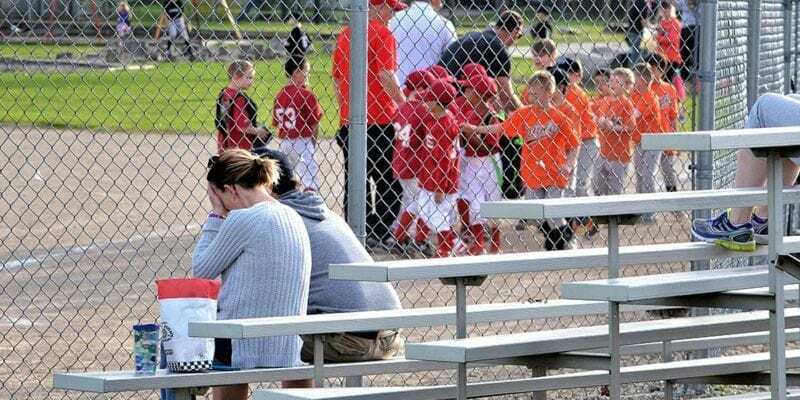 Sports can create a rift in relationships really quick, and many guys fall into traps that can be avoided. Here are 5 major mistakes men make when it comes to following sports. #1 MISTAKE: Assume their wives are interested in watching or discussing sports. That’s like assuming we all love to watch Fixer Upper (which I do, but that’s beside the point). You think you are connecting, but really you’re losing her. You end up getting blindsided in the middle of the game with questions. Then you give quick answers without much attention and thought and she ends up feeling like you don’t care. DO: Talk with her about her interests. An hour before the game spend time talking to her about her day and feelings. Her deepest desire is to be known and loved. Take initiative to meet this desire early and often. Then she won’t be upset and unfulfilled while you are watching the game. #2 MISTAKE: Invite their buddies to come over to watch games too much or without discussing it. This shows very little care for her. It comes across like she is an afterthought. Women are protective of their homes because they see a reflection of themselves in it. Bringing a group over without discussing it or even scheduling it too much can be like trampling over her. DO: Talk with her about inviting another family over and make it a family affair. That way your family has people to connect with as well. #3 MISTAKE: Forget about everything else in life besides your fantasy league. It’s certainly fine to have a fantasy team, but don’t become too engrossed in it. In the end, it isn’t reality where everything that actually matters is located. Remember, sports can be enjoyed with your family rather than just being “dad’s thing” or a thing with your friends. DO: Create a family fantasy league and enjoy a fun and friendly fantasy league competition with your family or another family. #4 MISTAKE: Watch too many games in a row. This is my confession, as someone who loves all of the major sports: I would have sports on every night and all night if it were my choice. But doing that takes time away from my wife and the opportunity to talk to her. It also takes away the opportunity to watch something, or better yet, DO something together. DO: Choose the games that are most important to you and the rest of the time focus on her and the kids. #5 MISTAKE: Get all hyped up and decide you want to “lace ‘em up” and try to do what you see professional athletes doing. It’s important to be active and exercise regularly, but at this point, it’s important to realize that most of the athletes we watch on TV are significantly younger than we are. We need to preserve our bodies so they will last long enough to play with our kids. DO: Grab a ball and go outside to play your children’s favorite sport with them.